As asset managers realize that delivering customer experience excellence will drive future growth, they seek strategies to become customer centric. Asset managers need to be more agile, flexible and responsive than ever as client expectations are dramatically evolving, making customer outcomes and the overall customer experience critical to future success. The industry is shifting away from selling products and toward providing solutions, away from opaque fees and structures and toward transparency and value. As noted in the KPMG Nunwood report Spotlight on the Asset Management Industry - B2B Customer Experience: Winning in the Moments that Matter, asset managers recognize that the industry is already behind the curve, lagging among consumer markets as well as mainstream B2B. At the same time, opinion is divided on how quickly – and with what degree of effort and investment – the industry will be able to catch up. Forward-looking industry players already understand that outstanding customer experience excellence delivers real financial and commercial benefits, and research developed by KPMG Nunwood of the UK offers helpful guidance, by defining the dimensions of customer experience using the 6 Pillars Framework. Following research involving more than one million customers across three continents, the system spotlights six key principles as the building blocks for customer experience success. By understanding them, asset managers can assess where their businesses stand and where they need to go to develop a truly customer-centric culture. 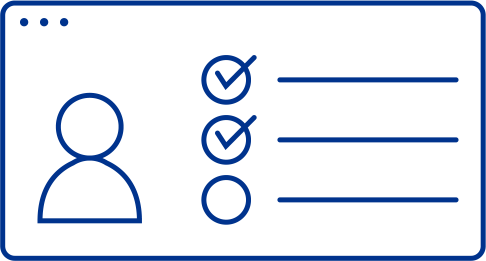 Personalization is achieved through knowing your customer, remaining alert to their needs and preferences, and tailoring experiences to their unique circumstances. Integrity involves the degree to which consumers believe a firm is trustworthy and likely to act in their best interests. Creating trust requires trust-building behavior, reliability and ensuring beneficial outcomes for both parties. Time and effort mean the level of convenience and efficiency firms can provide on every customer transaction and interaction. Finding opportunities to reduce cost, time and effort are major relationship enhancers. Expectations are higher than ever today among clients, meaning firms must strive to deliver a level of service that consistently meets or exceeds customer expectations. Resolution revolves around the simple reality that no matter how well developed or mature your business processes might be, things will go wrong. The ability to resolve issues quickly and reliably is paramount to an exceptional customer experience. Empathy is the ability of a company’s people to put themselves in the shoes of the customer and react accordingly. These six principles should make clear the need for the industry’s entire market perspective to evolve, with asset managers no longer on the inside looking out but instead taking a view from the outside looking in. This means shifting focus away from the usual financial and sales performance indicators and toward customer-centric metrics. On this front, data and analytics are becoming crucial. Using data in a predictive manner will open new opportunities for customer experience excellence. Certainly, the pace and scale of change are creating choices about where to ‘place their bets’ on transformation that will position asset managers for success as a customer-centric organization. They would do well to develop a strategic business case that helps identify where on the value chain to invest in resources, capabilities, technology and offerings. This means clearly identifying who your customers are and where they most value the experience along your value chain. Also critical going forward is the need to transform the business culture into one that knows and understands clients and their customer experience expectations. To do all this, industry leaders have a crucial role to play. CEOs in particular should be playing the role of change agent, putting transformation of their culture and a customer focus near the top of the business agenda. KPMG member firms are some of the leading financial advisers to the Asset Management industry.